Trucks are not only great to have when it comes to towing and hauling, but they can also be very fun to drive. Today, more and more trucks are loaded with some incredible features and they are extremely comfortable to drive. As a matter of fact, you will even find used trucks for sale in Bothell that are going to be very close to a car when it comes to the interior as well as handling. If this interests you, all you have to do is make your way to Carson Cars to talk to one of our friendly and professional sales team members. Are you a military veteran, student, first time buyer or have poor credit? No matter what your current situation may be, Carson Cars has a program that will allow you to get an amazing deal on a used truck to fall in line with your needs as well as your budget. Small trucks, larger heavy duty trucks or something that you need just to do jobs around your house, we have the selection that you are looking for as well. Carson Cars is a full service used car dealership, meaning that after you purchase your used truck from us you can also bring it back whenever you need to have regular maintenance or repairs. For many years, we have been in the business of bringing our customers nothing but the best in service, pricing and selection. Whether this is your first used truck that you are buying with us or a repeat customer, we treat each transaction with the utmost care. 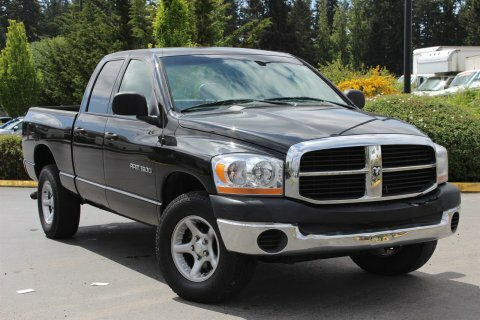 Carson Cars is your answer when you are looking for tough, dependable used trucks for sale in Bothell. Call (855)583-9356 for more information on selection.